Being an Army personnel is a privilege and an honor! Show your pride in your service with this design on t-shirts, sweatshirts and more. 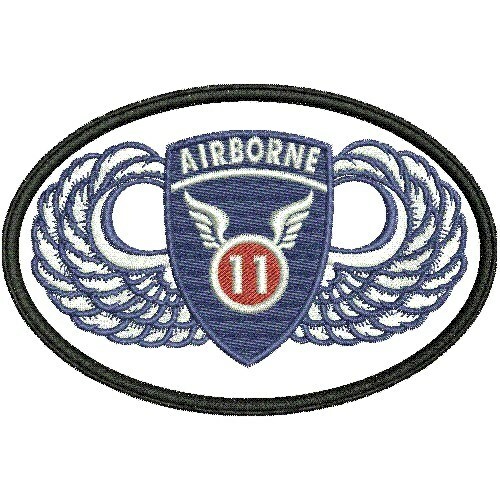 EStitch is happy to present USA 11TH AIRBORNE PATCH machine embroidery design which has 21205 stitches and is [105.92 mm x 70.61 mm] large. If you would like to view more embroidery patterns please search on our embroidery designs page.